That is great to have a portabile crafting "thingermagig." I love crafting in the evening in front of the TV. I use trays and the tops of my storage bins. I LOVE your cards. I especially like the one with the Golden Gate Bridge. I (heart) San Francisco. Are you working on the ATC for July?!! I should try using the playing cards that I have. Your card is GREAT!! Cute cards. That's a great project for crafting in front of the television. Have fun with your dad on Sunday. I miss my dad (he died a couple of years ago) and my husband has to travel on Father's Day for a presentation he's doing on Monday. Sigh. 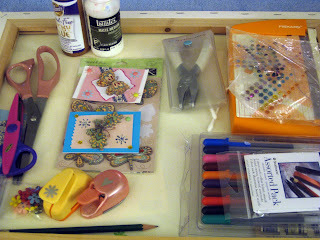 Wonderful organized 'portable' art studio idea!! 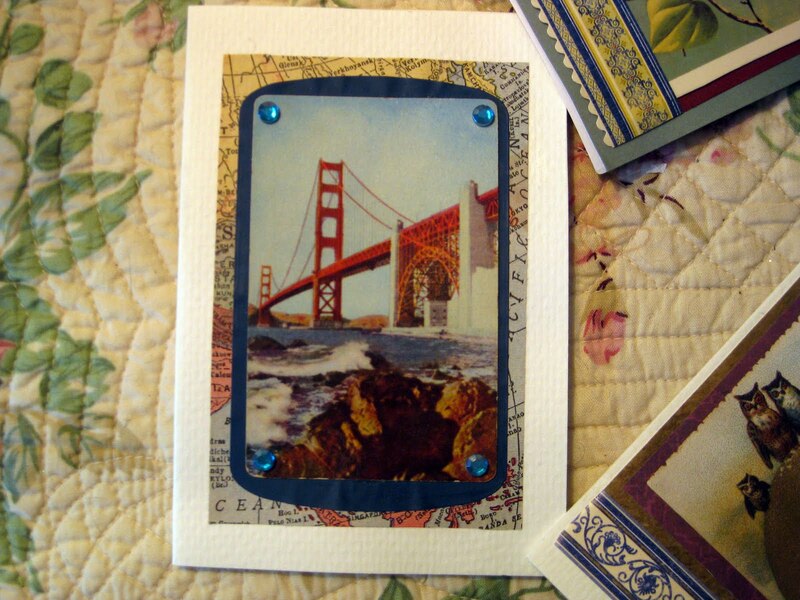 The golden gate bridge card is so cool..love the colors. And the owls are so cute! 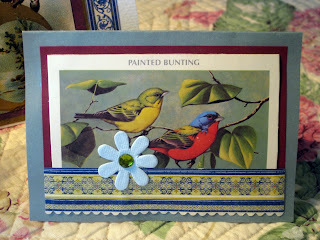 Beautiful cards... I do the same thing, so that I can watch TV while crafting! Enjoy your day my friend and your hike with your Dad! Sounds perfect:) Have a blessed day whatever you do! HUGS! Everything looks great! 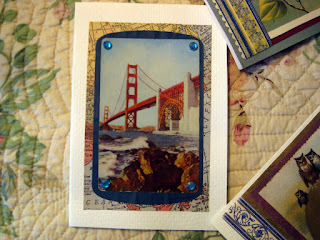 I love the card with the Golden Gate Bridge. Very nice! Oooo! 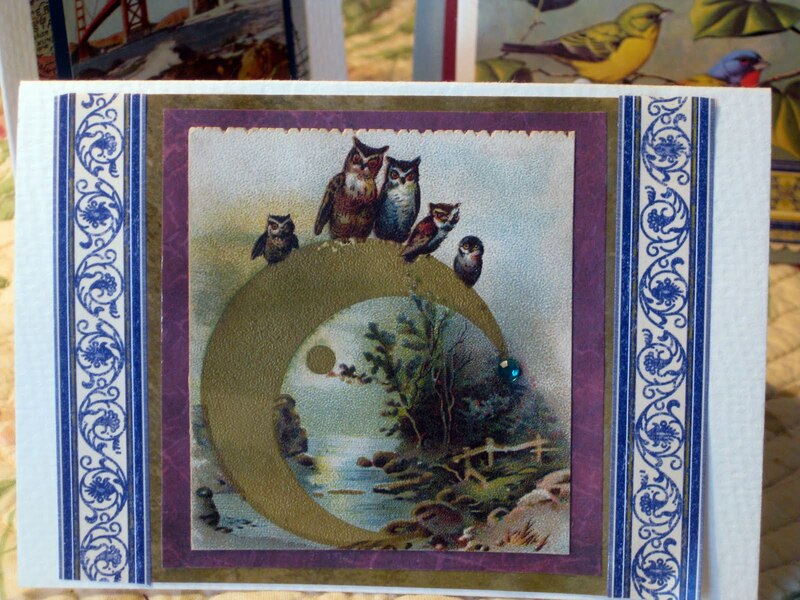 that owl card is fabulous...i wonder if I can click on it to save? May I? Your fur balls got nothing on my cat house! 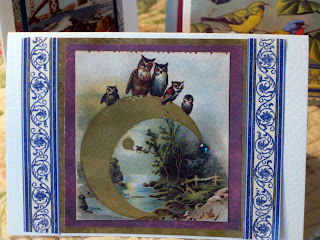 Oooh, I love that little Golden Gate card -- very sweet! Have a wonderful weekend -- and don't work too hard! Check out my blog. I have given you an Award. I TOO LOVE YOUR BEAUTIFUL CARDS! 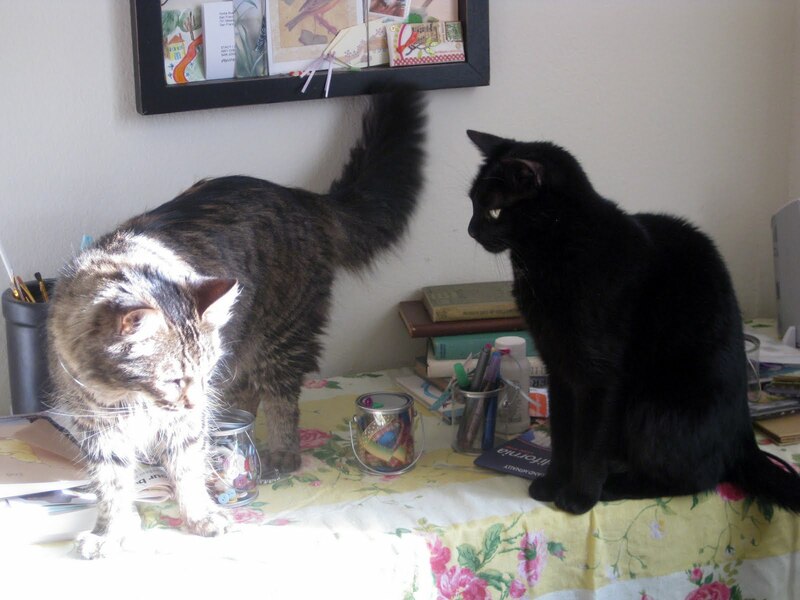 ITS MY FIRST TIME VISITING YOUR LOVELY BLOG, AND DECIDED TO SAY HI!